How do I know if I have an OEM or retail copy of Windows 10? There are typically 3 different types of Windows licenses: Retail, OEM and Volume Licensing. Retail – This is a boxed copy, which can be obtained from a retail store or online from the Microsoft Store. You can transfer the Windows 10 Retail copy to another PC. OEM – If your computer comes with pre-installed Windows 10, then an OEM license is embedded in the UEFI/BIOS firmware. These types of Licenses are not-for-resale and is not transferable to another PC. Volume – It’s used mostly for large businesses, government and educational institutions. It cannot be used on PCs other than those associated with the company. 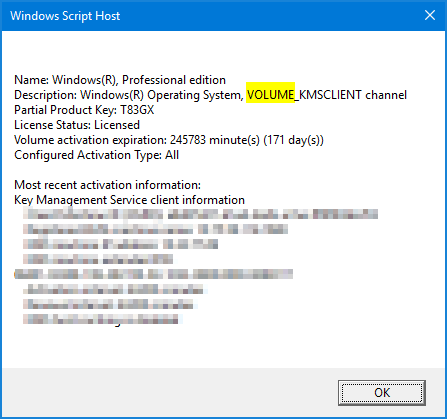 The Volume product keys are either used with a KMS server or Multiple Activation Keys (MAK) where a single key can be used on multiple PCs. This tutorial will show you how to find if your Windows 10 is activated with a Retail, OEM, or Volume license type. How to Tell If Windows 10 is Retail, OEM or Volume? Press the Windows + R key combination to open the Run command box. Type cmd and press Enter. When the Command Prompt opens, type slmgr -dli and press Enter. 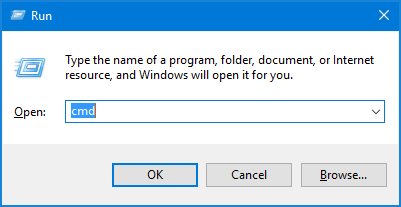 A Windows Script Host Dialogue box will appear with some information about your operating system, including the license type of Windows 10.